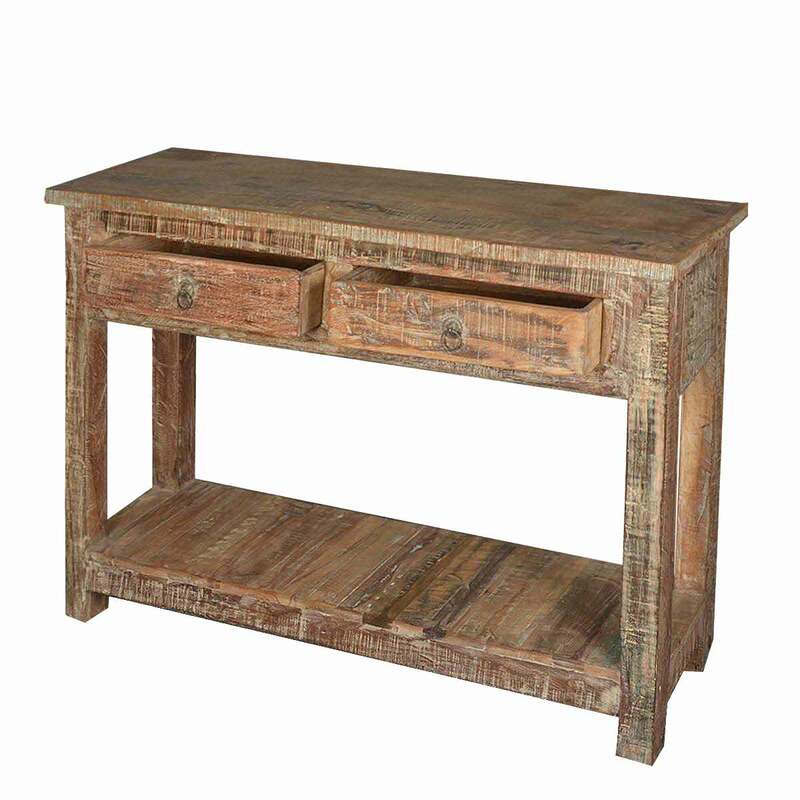 The traditional look of rustic furniture keeps things relaxed and comfortable. 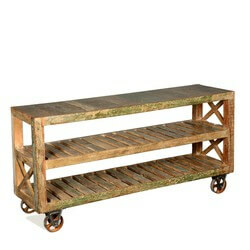 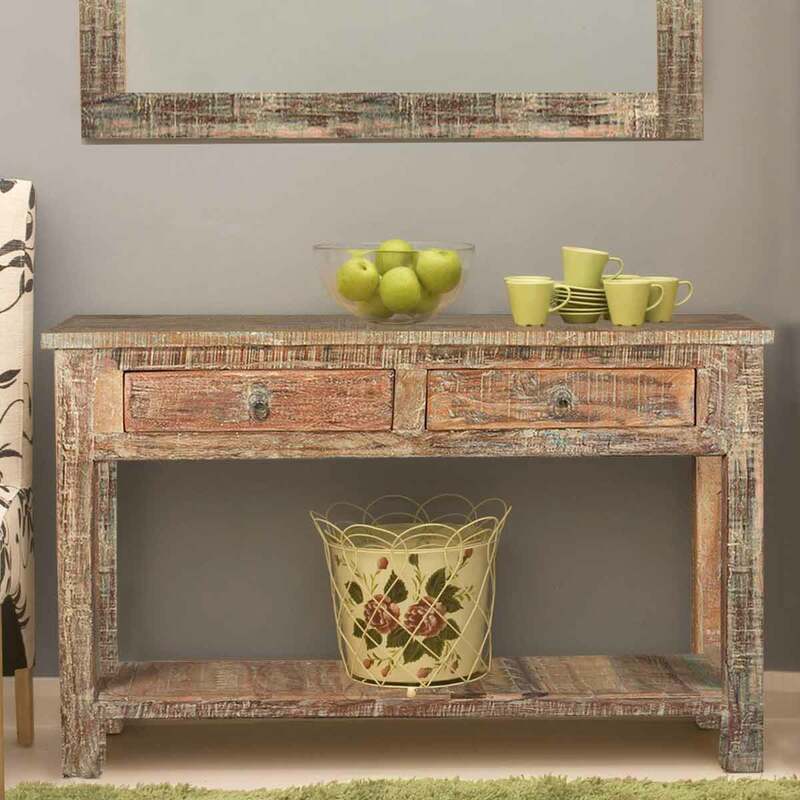 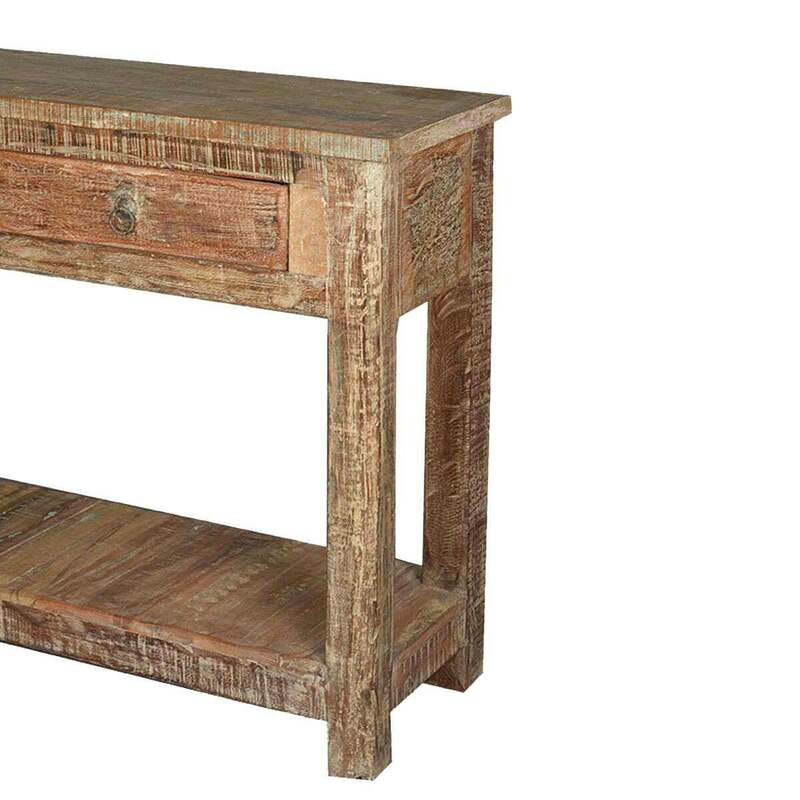 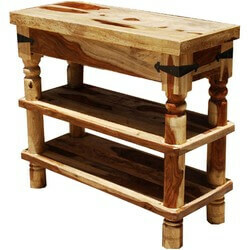 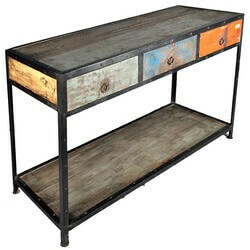 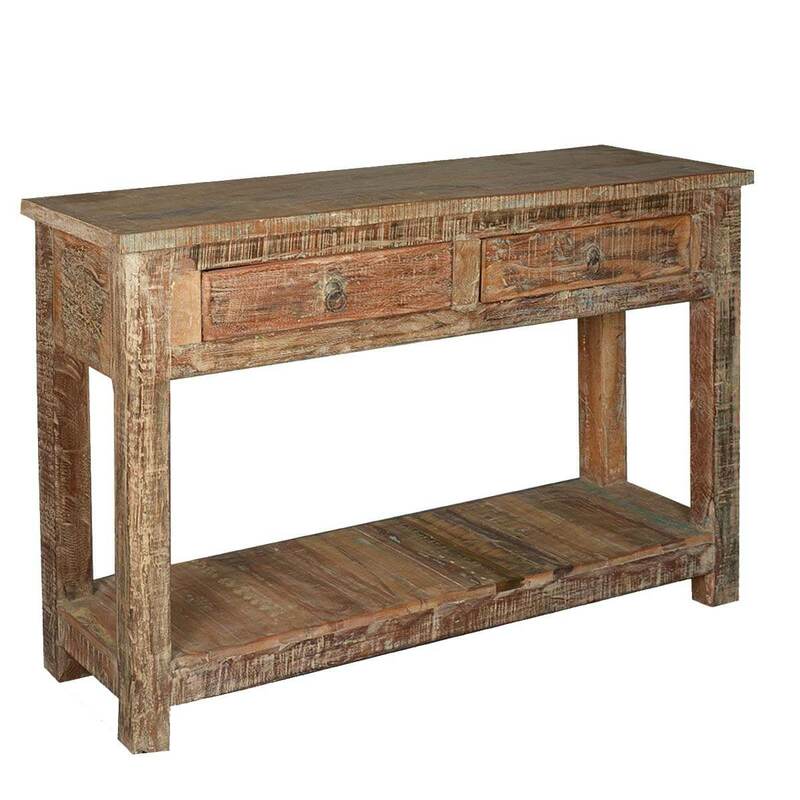 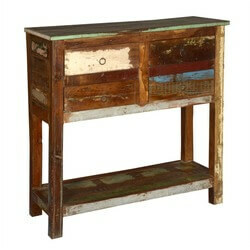 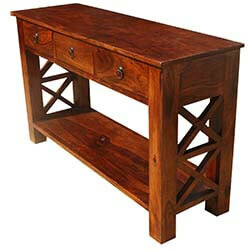 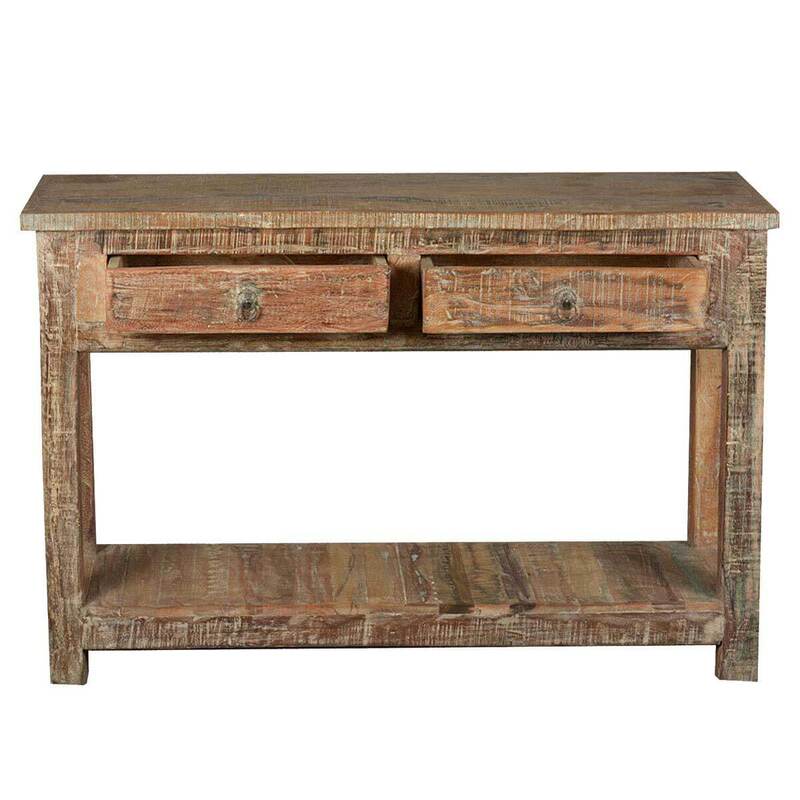 Our Naturally Distressed Console Table is hand crafted from reclaimed wood from Gujarat. 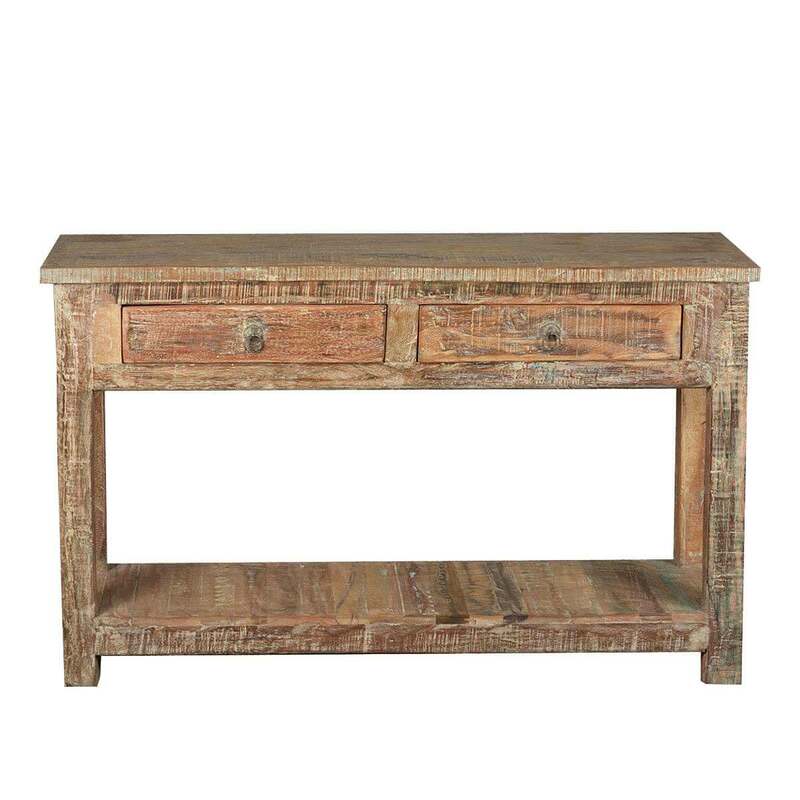 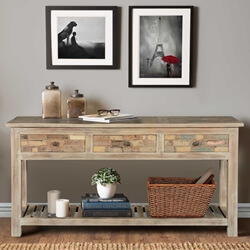 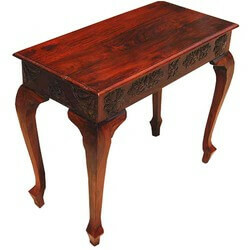 For this Hall Table we choose sun dried old wood that was naturally distressed over time. 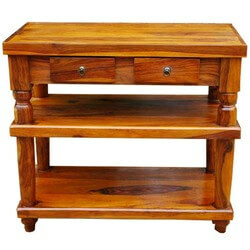 The table has two drawers and a lower shelf perfect for shoes and other accessories.